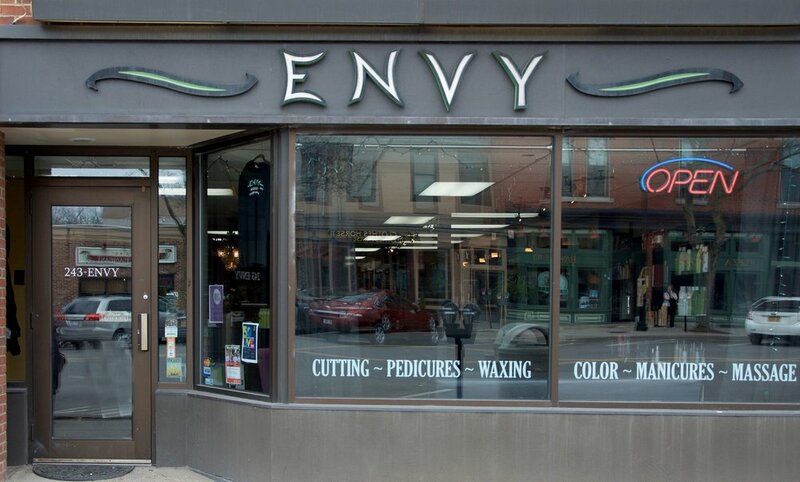 Located in the heart of the historic Village of Geneseo, Envy Salon and Spa offers you the best for your hair. We are a full service salon that has been open since April 2010, offering high-end services. Our services include hair, makeup, nails, waxing, eyelash extensions, and microblading. Give yourself the look you deserve. We recommend scheduling an appointment because we may not be able to accept all walk-ins. Are you a student? If so, take advantage of a 15% discount every day for every service! Individuals over 55-years-old receive $5 off haircuts and $10 off color services from Tuesday to Thursday from 1:00pm to 3:00 pm. Be sure to follow us on Facebook to find out about our weekly specials!